The team at Osterhout Design Group really love Pokémon Go. 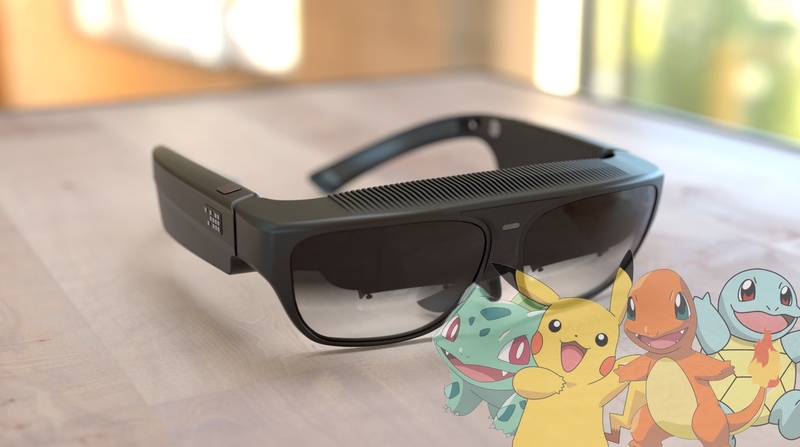 In fact, they love it so much they decided to port the AR game onto the R7 augmented reality smartglasses for fun. It's not as hard as it sounds if you have AR glasses on hand and a knowledge of AR software, which are both areas ODG has of course. ODG vice president Nima Shams told us a bit more about the process saying this was the result of "literally one of our software guys playing around with it" and deciding to port the game onto the glasses. "A bunch of us are avid gamers and a bunch of us love Pokémon. The game came out, there are augmented reality glasses laying around the office, and one of them said 'Let me port it over.' It's Android and we run Android so it was a pretty simple process." Still, there were a few small kinks to work out, but nothing drastic. Considering the game only came out a few weeks ago and it's already been successfully ported onto the glasses, the issues were solved pretty quickly. "The second hurdle was we have no touchscreen. But luckily we have a full ring controller that detects motions and gestures - you can fling, grab, and so on. Instead of touch screen, we connected our ring controller and were off finding Pokémon." What's neat about the R7 glasses is that they're untethered and provide the see through experience you'd expect from AR. There's also a wide field of view which lets you see everything on the screen better - as if Pikachu was right in front of you. Shams says it helps because you'll have a better sense of your surroundings, and compared it to a recent story where a Pokémon Go player hit a police car. There's a slight caveat to playing the game with the ODG smartglasses - you need an internet connection. The game's fully on the glasses but there's no cellular service on the devices meaning you'd have to be around Wi-Fi to play the game. One way to remedy this would be to use a hotspot device or service from your phone. It's not a bad takeaway if you get to use AR glasses to catch Pokémon instead of staring at a phone screen - which is where Shams sees the game heading. Similar to what Soren Harner, chief product officer at Meta, told us about his Pokémon Go experience, Shams is excited about people who are experiencing AR for the first time on a global scale. "Everyone had a little hesitation on AR, like 'is it a gimmick what is it, what's going on.' We've been around since 2009 and explaining AR to people - well some got it, and some didn't and asked if it was VR. So what Pokémon Go did was put AR on the map. "It's really brought the conversation of AR forward. It's really moved that conversation of 'is AR going to happen in the future' to something that's actually happening right now."